As part of a three-year partnership with the Royal Horticultural Society (RHS), Wedgwood is the headline sponsor for the inaugural RHS Chatsworth Flower Show (7th to 11th June 2017). The partnership is a perfect fit as both brands share the same roots since John Wedgwood, who had an extensive interest in botany and horticulture, founded the RHS in 1804. 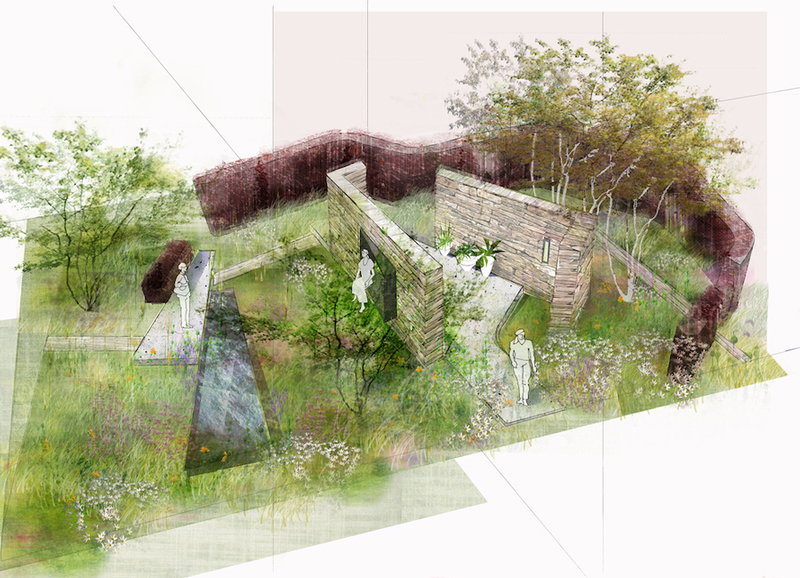 RHS Chatsworth will also see Wedgwood launch its first ever show garden designed by Sam Ovens (named Young Designer of the Year 2014 by the RHS). Sam is an RHS Gold medal winner at RHS Tatton Park and a RHS Silver medal winner at RHS Hampton Court Palace. At 27 he was one of the youngest garden designers ever to create a garden on main avenue at RHS Chelsea and his garden design ‘The Cloudy Bay Garden’ was awarded a Silver-Gilt medal. The Wedgwood garden will draw inspiration from Wedgwood’s rich history and its future direction. It will be romantic and informal, distinctively English in feel but not a reproduction or pastiche. With a contemporary design it will apply a soft and geometric approach. The design will explore new materials and re-imagine the traditional while attention to detail and craftsmanship remain at the forefront. The garden’s central feature will be a contemporary and conceptual take on a living space, blurring the relationship between indoors and outdoors bringing the garden together – a central cocoon encapsulated by plants and nature as somewhere to relax and escape. The garden surrounding the cocoon will take visitors on a journey with carefully positioned hedges and walls to highlight and hide, giving visitors glimmers of what’s to come. The front of the garden will be more ornamental while the rear is much looser and naturalistic. Dividing the two areas is the ‘pavilion’ within which a world of potted plants thrives. Set against the dramatic backdrop of the Chatsworth estate the garden will be outward looking and forward thinking to embrace its surroundings. Concrete will feature in the design and has been chosen for its seamless finish and soft matte texture which shares many similarities with the fine bone china of the Wedgwood wares. The garden combines the traditional and the contemporary to create eloquent design, an exciting juxtaposition that perfectly represents Wedgwood today.